It's September! Which means it's almost fall - my favorite time of year. I'm gearing up for some fall fun so I couldn't resist sharing some of your fall themed ideas from last week. with all the fun fall themed activity links! I've been pinning some awesome ideas! 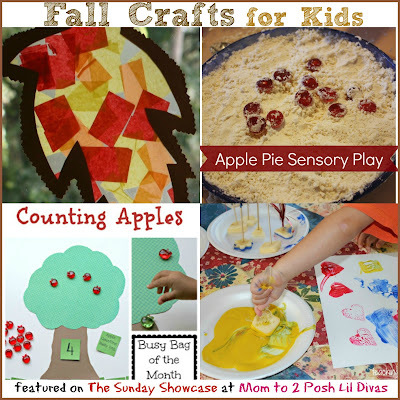 Do you have ideas for fun fall themed activities for kids? or by visiting our Facebook page. I love to see what everyone is doing. If you're linking up we encourage you to visit other links & our Pinterest board! Always so many great posts to check out! 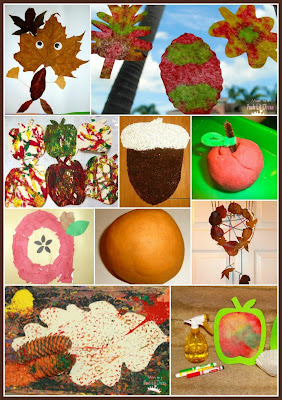 I'm loving all these fun fall ideas. Thanks for including our sun catchers!